You probably expected some sort of big Earth Day post, didn't you? Sorry, this is a green blog and since we pretty much are green 365 days a year today is really not too much different than any other day. Yep, there's a lot of fun events going on around town, movies, concerts, expos and the like, but what I like best about Earth Day is the ability to share with those who might not be green 365 days a year. 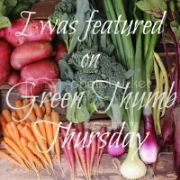 In light of sharing on Earth Day, I thought I would share a few of the times I have let my green show around the edges since last Earth Day that inspired people to change their non-green ways. Greening while you work - Here's one that I sort of left until last. I try not to be all preachy-green, especially at work. No one really wants to hear the nutritional stats about their frozen Lean Cuisine or exactly how to pack a waste free lunch. However, no one really minded when I sent out an email request asking everyone please use the recycling bin I placed in the kitchen to recycle all those cardboard boxes from the frozen meals, paper bags and cardboard drink holders. Actually, a few people mentioned that they didn't even know that you could recycle frozen meal boxes. My eco-dorkness showed just a little, but no one seemed to mind and one person even thanked me. Greening your team - I was tickled pink, pleased as punch and as giddy as a school girl at the beginning of this Little League season. Not just because we recycled tens of thousands of gallons of plastic, glass and cans last year. Earlier this week, during field clean up, I busted one of the nay-sayers of the recycling program shoving plastic bottles one by one down the rubber chute of one of our recycling carts. He looked at me and sheepishly shrugged his shoulders. The program worked great, he said, the kids really did a great job. I smiled and said, it looks like the parents did too... Score one for the Trash Lady! Greening your kids - This one is never easy. Fast food is marketed directly to them, soda is like a drug and the corner store that sells candy, ice cream and potato chips is like their dealer. After almost two years of talking about the evils of corn syrup, fake sweeteners, food coloring, animal testing and processing... They are listening. Yes, they still take their babysitting cash to the corner market, but they now read labels, they look at ingredient lists and they even compare prices. Does this mean they never, ever drink soda? No. Does this mean they never, ever eat a candy bar? No again. However, my four wise men told me the other day they no longer buy the packaged danishes - 19 grams of fat and almost 700 calories Mom! In ONE danish! And, they opt to only buy one large 2-liter pop to share once in awhile (Mom! It's less plastic!). The rest of the time, they pool their cash for iTunes, movie money and video game rentals. It's only a small victory, but by the age of 13 they're reading labels, looking at fat and sugar content as well as prices. Maybe they will be grown men who know how to shop after all! Greening yourself - This one is the hardest of all, but the one place you can make the most difference. I'm not talking about whether or not you shampoo your hair, wear organic make up or thrift shop. Nope, I mean doing for yourself. I got a bike last week, I put in a good long 15 miles this weekend and guess what? My four year old kept up on his trail-a-bike hooked to my husband's bike and my three oldest boys were jealous they had plans with their friends and didn't go along. Everyone wanted to bike the trail all the way to dinner, spend time together and leave the van at home. Guess what our plans are for this weekend? A family of six, biking 15 miles round trip to eat dinner at a locally owned restaurant? Now, THAT is as green as it gets people! Those are memories and lifestyle changes I can give my children, for them to give their children and so on down the line. Take a moment today to share something you do with a friend, a family member or even a co-worker. You never know how it might make a difference! Your challenges and successes are awesome! I'm especially impressed with your tenacity and courage with the little league team- sometimes other parents can be rough. :) Way to go! My municipality have a recycling/organics mandatory program that not a lot of people understand. Places of business and work are magically exempt from having to recycle, and my work only picks up paper recycling. So I made my own little recycling box, sent out a few emails, printed off pictures representing 'what lives here'. Although I'm still picking up stuff out of the garbage right NEXT to the recycling bin, and after seeing it being thrown in the garbage by the clean-up crew (I quickly realized consulting the cleaning staff should have been the first thing I did!) the ladies were receptive. The seemingly small things are the easiest to get people on board with. Good for you! I'm impressed you have kids who read food labels! Woot! i wish i knew the secret of your success with the little league. trying to nudge my boy's scout troop toward being more ecologically and community minded is like... well, like poking myself in the eye with a dirty sharp stick, over and over and over again.. only less fun. i'm ready to throw my hands in the air if i hear "the committee doesn't think....." one more time. i had no idea "the committee" existed until 2 weeks ago. we've been members of the troop for over a year!! every idea gets blown out of the water by the adults as "the kids wouldn't want to do that" or "the boys won't put in the effort" or "you won't get much response" even before the ideas are presented to the kids. it makes me want to scream and run in the opposite direction. i've started looking at other troops. ones that are actively aiding their communities (even a food drive was shot down... a food drive for heaven's sake!) and raising leaders, not nay-saying followers of "the committee"
you ladies are certainly doing some inspiring things and, if (more like when) we leave the troop i know that i'll take many of your ideas with me. You're right, we're green each single day of the week. Nevertheless it's great to have one special day where we meet each other and exchange our knowledge about green living. Me on my bike and my guys on their long boards. It was a super way for us to spend time together last summer. I got my bike at a garage sale years ago and it just keeps going. I think you'll really enjoy having a bike especially with your kids! Yoo hoo! Your efforts and kindness in wrapping your naysayer in warm my heart. I can't wait to get outside myself soon - sposed to be 80 and sunny this weekend!! Also? I am also impressed that you have kids who read labels. Amazing stuff. Ecoburban, you amaze me! 4 kids, a blog and a job? Yikes! And you get your exercise! I love all the examples but the kids reading the ingredient labels is the best! Happy pedaling.